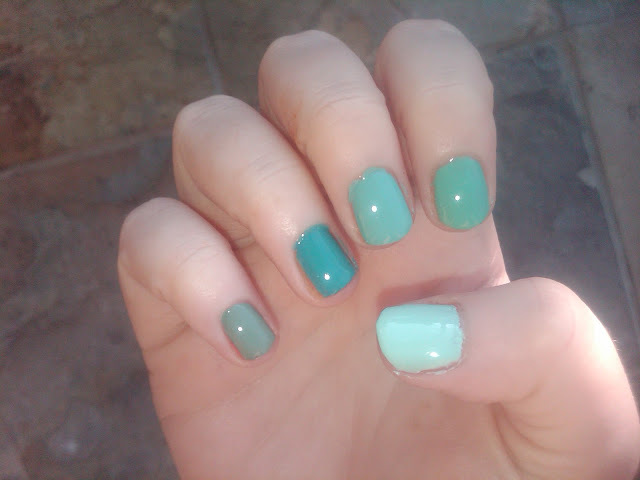 Mints and turquoises are definitely some of my favorite colors- especially for nail polish! I thought I'd welcome spring with this fun, gradient look. I purposely chose to do my ring finger in the boldest shade to make the gradient appear more obvious. *One of my favorite songs ever! Makes me think of one of my best friends- it's "her song!"